Dystonia - "Muscles behaving badly"
To provide appropriate, researched information for adults and children with dystonia, their carers and interested health providers. To increase community awareness of the condition. To ultimately fund seminars and assist with research into dystonia. 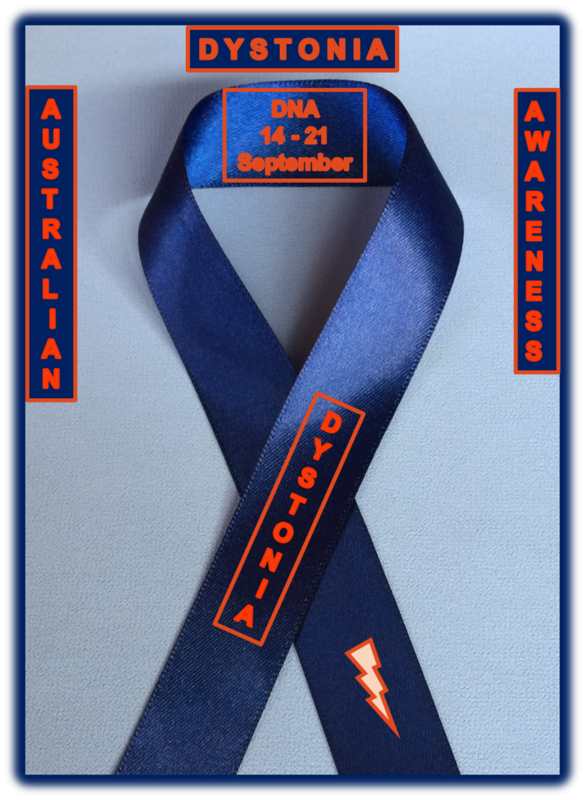 Australian Dystonia Awareness Week 7th – 14th September 2019 Incl. Can dystonia be caused by stress? But symptoms often get worse in stressful situations. This happens in most movement disorders. Or a lessening of symptoms of their dystonia but these symptoms often return. Is tiredness a part of my dystonia? Many people report tiredness as part of their symptoms. Tiredness could be due to the energy expended with constant involuntary movements.